With available Internal RAID 5 capabilities and field replaceable Hard Disk Drives, the DVR Series is designed for maximum reliability. 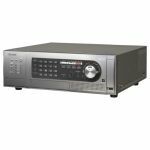 The HVS series comes pre-configured to allow HDD storage expansion in the field without it needing to be returned to Toshiba for upgrading. Capable of recording at speeds of up to 480 pictures per second, the HVS offers unmatched versatility. 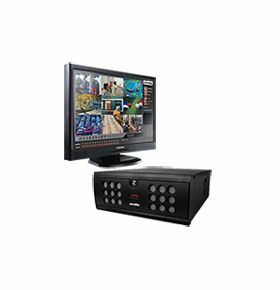 - Available in 16 and 32 channel configurations, expandable up to 64 channels for maximum performance. - Available cost-effective internal RAID 5 capability. - Analog recording resolutions as high as 720 x 480. - Audio recording. 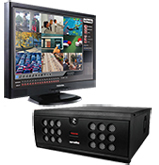 Record up to 16 channels of audio to get the complete picture. - Complete remote access, setup control, user administration, video backup, live viewing, and powerful search capabilities. - Supports all major IP camera manufacturers.